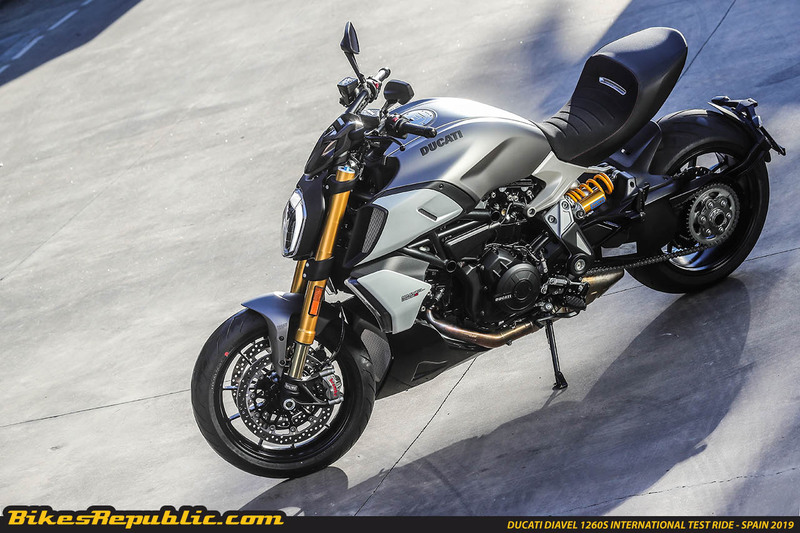 Home Year 2019 10 things you need to know about the new Ducati Diavel 1260S! 1. 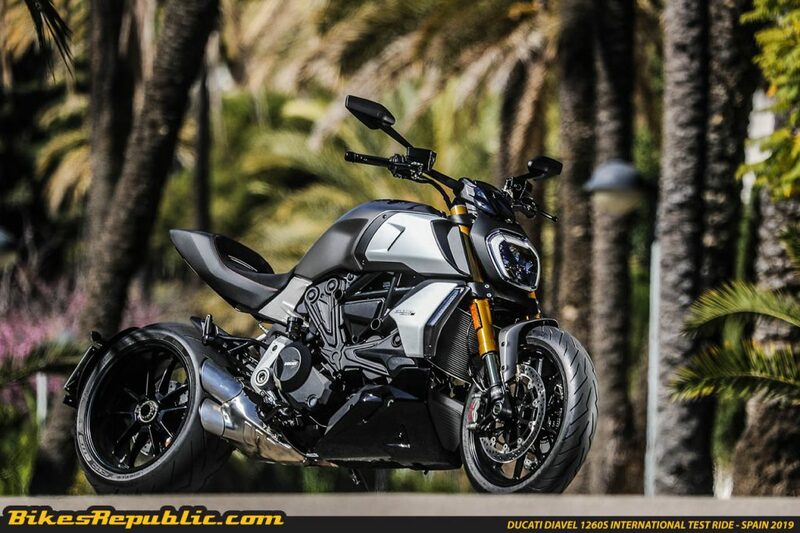 The Ducati Diavel 1260S is 90% new. That’s right, almost the entire bike is new, only the headlight, tail light and the dash has been carried over, and that too from the X-Diavel. Everything from the mud guards to the swing arm and even the tyres are all new. 2. The bike is longer than before. Just by a few mm, but the longer wheelbase makes a world of difference especially in long sweeping corners. The bike feels more stable and more like a cruiser, but with a mighty engine to match its power cruiser persona. 3. The standard is only available in one colour while the S is available in 2 colours. 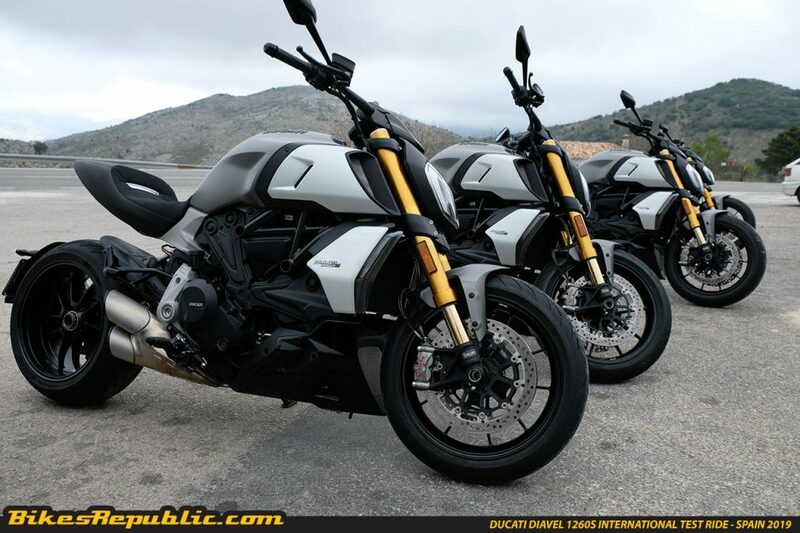 Ducati found that the Diavel was hugely popular in black colour and then chose to offer it only on the high-spec S version. The standard version is available in the sandstone grey colour seen here, which is also available on the S version. Disappointed? Don’t be. The sandstone grey is a stunning colour, even when it is totally dirty. 4. The seat is 10mm higher than before. That’s right, the seat of the new Diavel is slightly taller which is great news for tall riders. 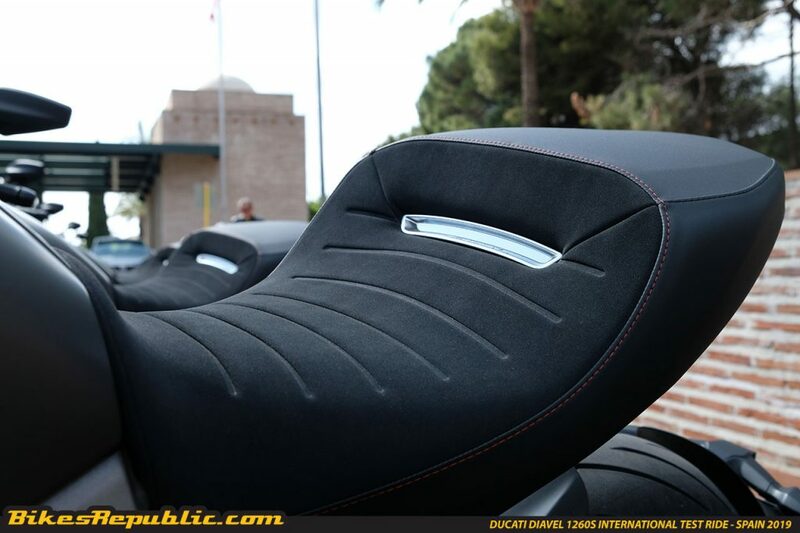 If you are vertically challenged, don’t worry, Ducati has you covered with a low seat option. 5. The electronics package has been substantially upgraded. The riding modes are brilliant, especially Sport mode as it makes the bike feel like a full on sports bike. You get 3 riding modes – Sport, Touring and Urban – a vast array of parameters like ABS, Traction Control, Ducati Wheelie Control, Cornering ABS, Ducati Power Launch (for those MotoGP-ish traffic light drag wars), a hands-free system that operates the keyless start and connects your bike to a dedicated mobile app, and a whole bunch more. And best thing is, you can tune these electronic safety nets down to the tiniest detail. Don’t like ABS interference but you want full the wheelie control on full alert? The bike will do that for you. No issues there. 6. There is no Carbon edition, just a standard model and a S model. Just two models for now, and a X-Diavel later on for those who prefer a more cruiser-ish feel to their Diavel. The standard 1260 with no Ohlins and limited electronics and a 1260S which gives you all the toys, and some. 7. The Daytime Running Light is only available on the S model. Yes that’s right. 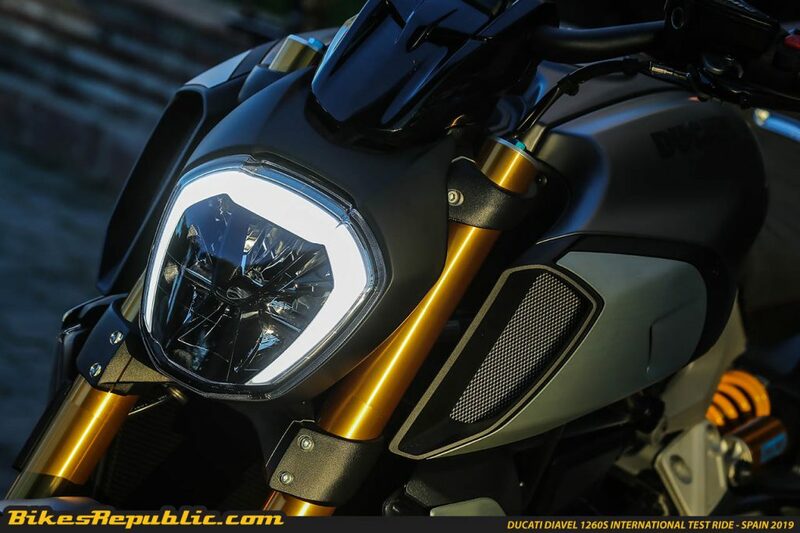 If you want the ultra-cool DRL headlight, that will cost you more moolah. 8. 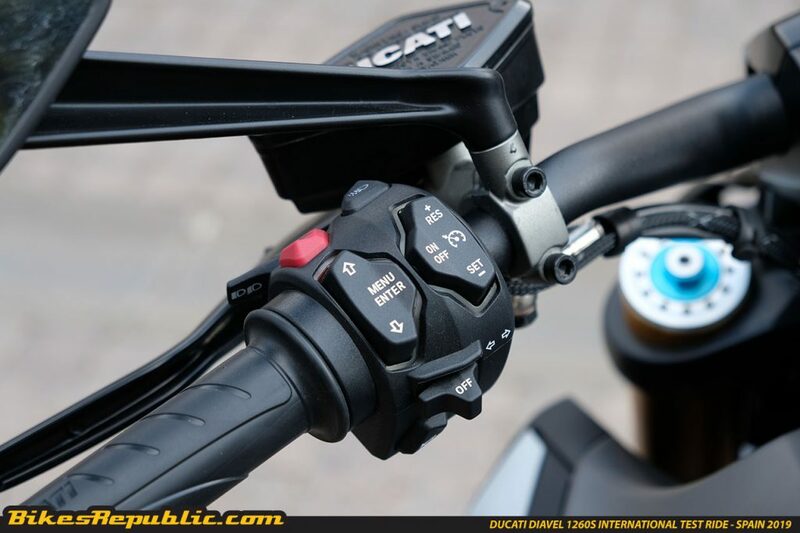 Ducati Quick Shifter is available as standard on the S, and as an option on the standard 1260. 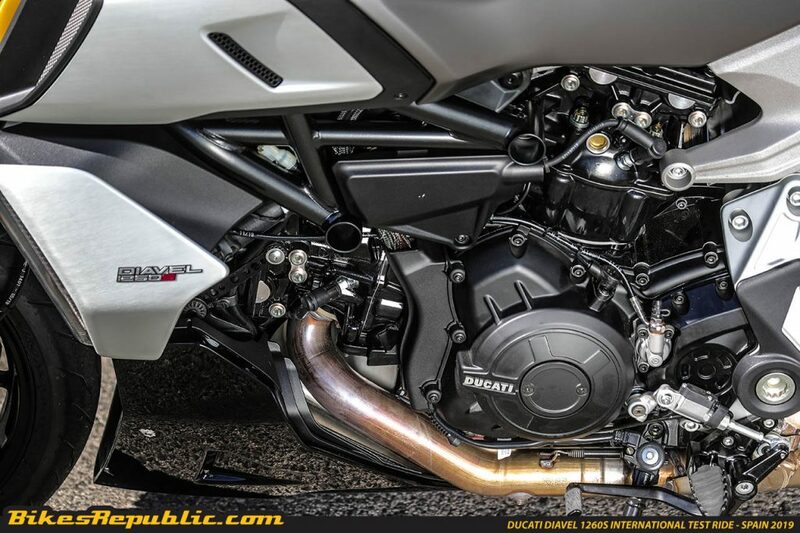 Even you are thinking of buying the standard Diavel, opt for the DQS. It is the most amazing feeling to be banging home the gears with no loss of power and speed, no down time as you engage the clutch to hit the gears. You will thanks us for it later. 9. The tyres on the new Diavel are super sticky and work brilliantly in both wet and dry conditions. 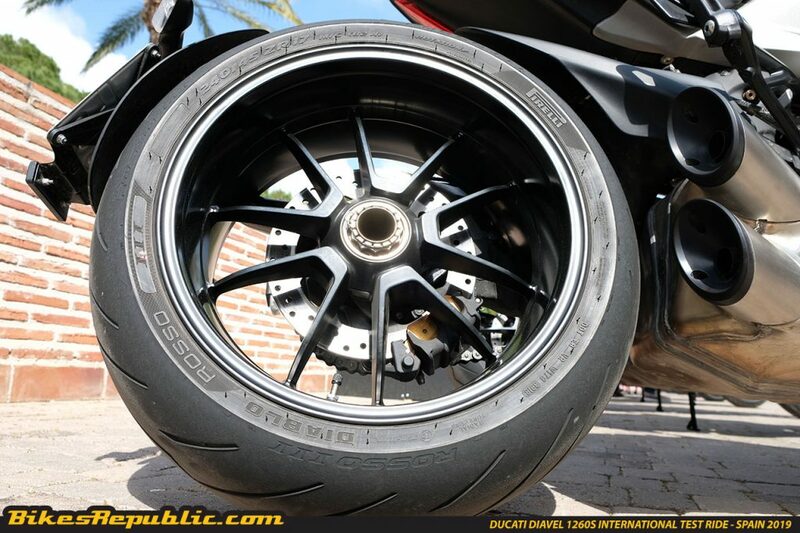 The Pirelli Diablo Rosso III features dual compound technology (soft on the outside and hard on the inside). The outer, softer area is wider than before which gives you more grip even from mid-lean. The tyre gives you so much confidence in both dry and wet situations that it makes you feel like a better rider than you actually are, as this writer found out. 10. It is going to be launched in Malaysia next month – price unknown! Yet. We are not sure of the exact date, but the new Diavel will be here very soon. And if you are in the market for a power cruiser that has performance to hunt down a sports bike, then this will be worth the wait.